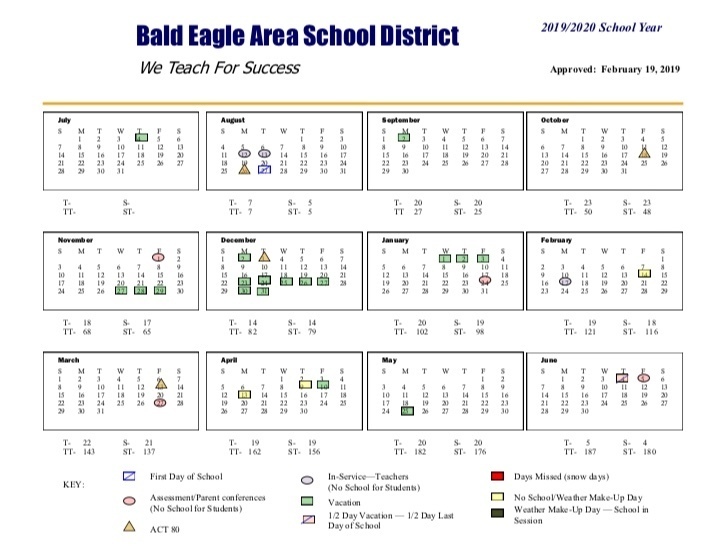 The latest 2019-20 calendar for the Bald Eagle Area School District was approved by the school board. The first day of school is slated for Aug. 27, with the last day on June 4, 2020. There is also a 10-weekday holiday break in December and January.